Lots of outdoorsy folks have been bemoaning the proposed state parks closures. The plan would shut all but 59 California state parks, including virtually every state park in the bay area, including Big Basin, Henry Coe, Mount Tamalpais, Tomales Bay, and Mount Diablo. 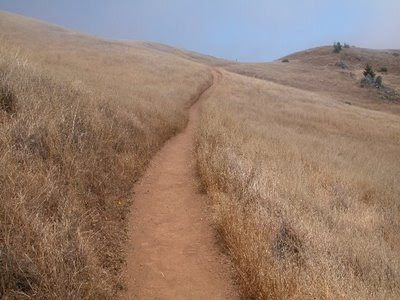 The only bay area state parks which would remain open are ones operated by local agencies, like San Bruno Mountain, Crown State Beach, and Pacifica State Beach. The plan creates a dismal prospect for some favorite outdoor activities throughout the state: no autumn camping at Salt Point State Point, no late winter hiking at Big Basin, Mount Diablo, Henry Coe, no redwood strolling at Armstrong Redwoods or Samuel P. Taylor, no soaking in the hot pool at Grover hot springs... the depressing list goes on and on. The proposed closures are devastating for outdoor enthusiasts and folks who work at the state parks. Could there be different solutions to the problem? This got me thinking about how the state fails to collect use fees. Time after time I see unstaffed parking lots at state park trailheads where at least 2/3rds of the vehicles have not self-registered and paid the use fee. What if these trailheads and parking lots were staffed? Pay one person to sit in an entrance kiosk for 6-8 hours a day -- the cost would be what, $100? At destinations with plenty of high traffic day use, fee collection would pay for itself, and then some, in as little as 30 minutes. Consider the parking lot at Tam's East Peak, where the use fee is $6. I would estimate that during tourist season, a few hundred vehicles visit this trailhead, most for just an hour or so. Even estimating conservatively, 400 x $6 = $2400. A day. Some of that money would need to go to daily maintenance of trailhead facilities, and I'm sure there are other costs associated with collecting and transporting fees, but the remainder could pay some park salaries. Parks with advocacy groups might even be able to collect day use fees with the use of volunteers. Docents of the bay area unite! Of course, not every park has high day-use visitation. 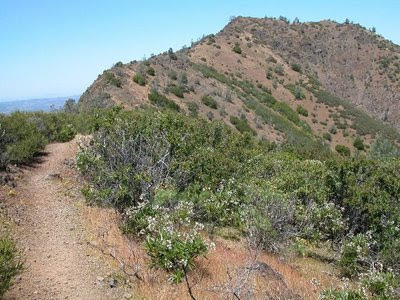 Since a good deal of California has mild weather 12 months a year, some state parks (particularly those on the coast) are year-round camping destinations. Would campers be willing to pay an additional recession-surcharge of $10 (or more) per night? I would! It would be worth it to me to keep the campgrounds open. I'm sure my ideas aren't fully thought out; surely someone out there who completely understands state parks economics could come up with something better. I have to hope there are other creative plans out there for keeping the parks open. Rather than simply protesting the closures, let's come up with some solutions! I think you have some good suggestions. I even wonder about staffing the parks with volunteers. Less expense on the parks, and I think a good many of us would donate a day a month or more to see our parks stay open. Jane, I like your ideas. I'd at least like to see continued access to the hiking trails, even if campgrounds and other facilities in parks are closed. I've read recently that they are talking about gating the parks and preventing all access. Can someone just tell me to take a hike!